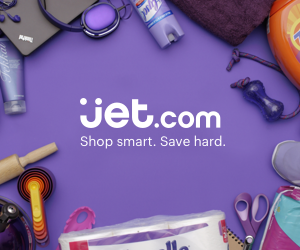 Jet.com is an online shopping site that offers savings on products in nearly every category, from electronics to apparel to household products. We're making saving money easier than ever by offering customers unique ways to save every time they shop Jet. Learn more about how it works here. With millions of products on our site, Jet has something for everyone, including the best brands in every category, and always at competitive prices. Browse our assortment here. New at Jet: the Specialty Grocery shop! Find your favorite specialty products, from coconut oil to apple cider vinegar.